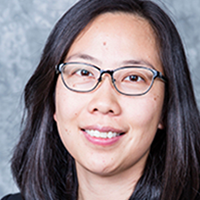 Yaqin Hu joined DeGroote School of Business at McMaster University in July 2018 as Assistant Professor of Accounting after earning her Ph.D. in accounting at University of Texas at Dallas. Prior to her doctoral study, she earned an M.A. in economics as a doctoral stream student from University of Toronto in 2013 and an Honours B.A. in accounting and economics from Wilfrid Laurier University in 2012. Yaqin’s research interests include firm voluntary disclosure, financial reporting regulations, CEO labour market, executive compensation, and analyst forecasts. Yaqin teaches financial accounting to MBA students at DeGroote School of Business at McMaster University. During her doctoral study, she taught financial accounting at University of Texas at Dallas.